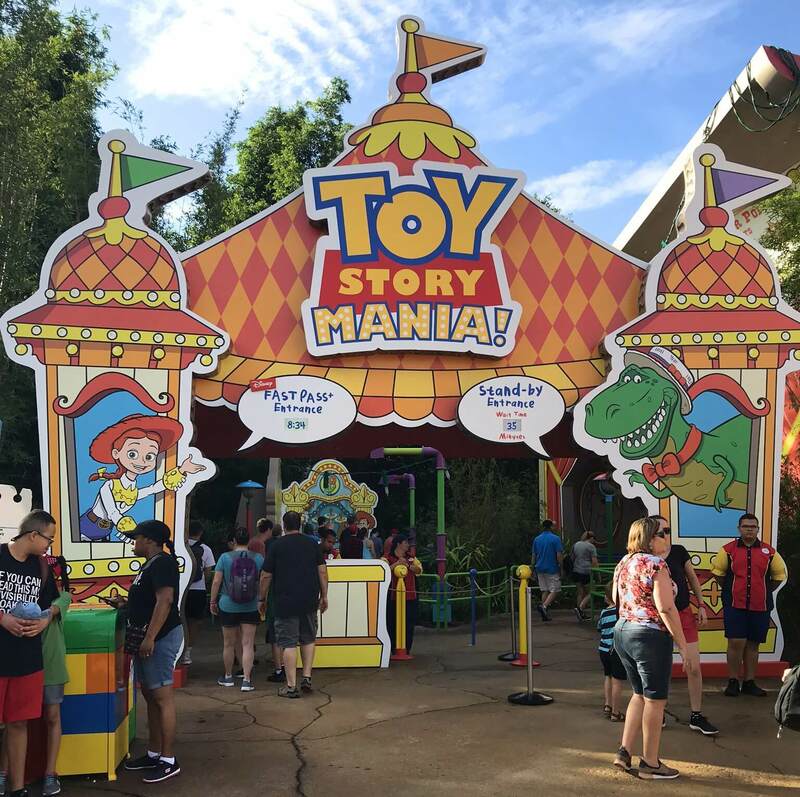 I checked out the new Toy Story Land at Disney’s Hollywood Studios ten days after it opened and I’m sharing everything I learned with you today! 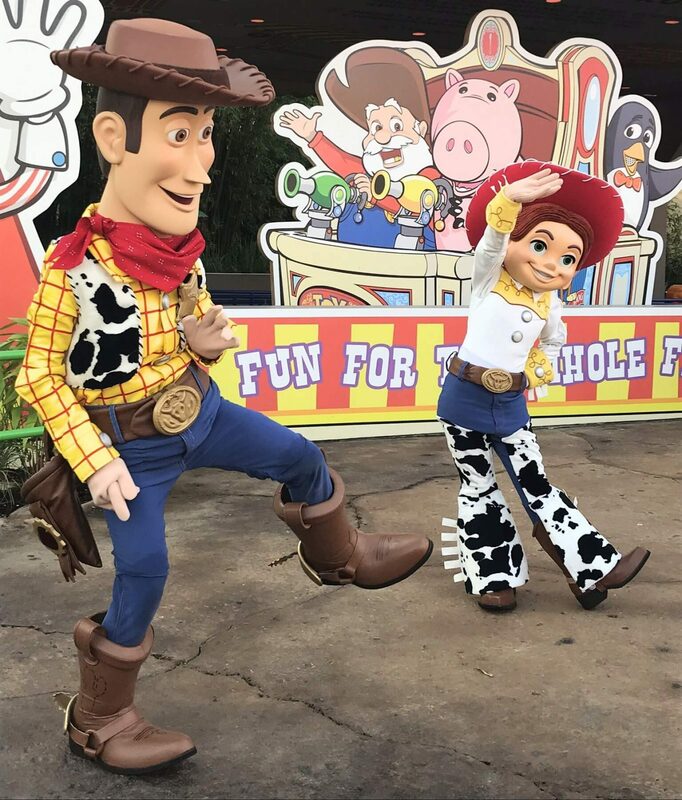 There are also characters meet and greets with Buzz, Woody, and Jessie, a new quick-service restaurant, and some fun surprises! 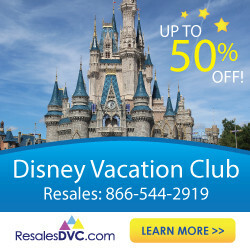 Check out my tips and tricks for having the best possible experience in this fun new land at Walt Disney World below. The most popular attraction in Toy Story Land is the new roller coaster, Slinky Dog Dash. I was expecting a kiddie coaster similar to Seven Dwarves Mine Train but this ride is SO much more fun and thrilling than I thought it would be! I rode in the front seat and back seat and I thought the view was better in the front (even though you do get whipped around a bit more in the back). It is more thrilling than any other “family” coaster at Disney World, but the ride is super smooth and it’s more cute than scary. The height restriction is 38 inches and I think my five-year-old would have done fine on this ride. That said, the line builds very quickly for this attraction. The park officially opened at 8 am the day I visited (with a 7 am Extra Magic Hour for Disney resort guests) and by 8:30 am the wait was already 90 minutes long! By 11:30 am it was 105 minutes long (keep in mind I visited in July so attendance is overall pretty high). There is nothing special about the Slinky Dog Dash queue so I strongly suggest getting a FastPass for this attraction if at all possible (unlike Flight of Passage in Pandora for which I suggest NOT getting a FastPass). 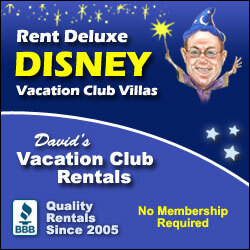 I’d suggest a FastPass for later in the morning (e.g. 9:30 am for an 8 am park opening) so you can do everything else in Toy Story Land and use your FastPass before you move on to other parts of the park for the rest of the day. I arrived at Hollywood Studios at 6:40 am for a 7 am park opening (because I’m a nut) expecting throngs of people similar to what I saw at Pandora last year. I was surprised to find 1) the park already open and 2) very few people already there! I was able to ride all three attractions and meet Buzz before 8 am. If you visit on a day with Extra Magic Hours I don’t think you need to be there any earlier than the start of the Magic Hour. If you are visiting on a day without Magic Hours or you aren’t staying on property, I’d suggest getting to the park about 20 minutes before it opens. 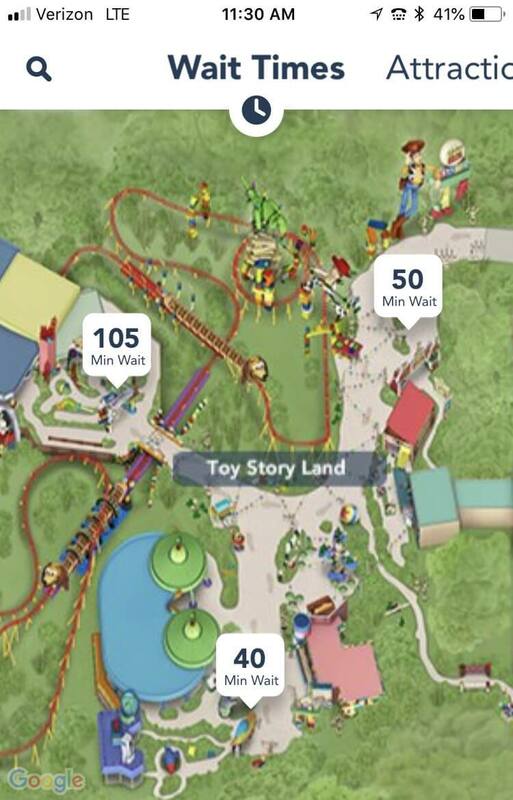 Toy Story Mania has a new third track that helps reduce wait times by quite a lot. Again, the posted wait time is often longer than the actual wait. This attraction is SO MUCH fun and not to be missed, so I suggest doing it second right after Slinky Dog Dash. 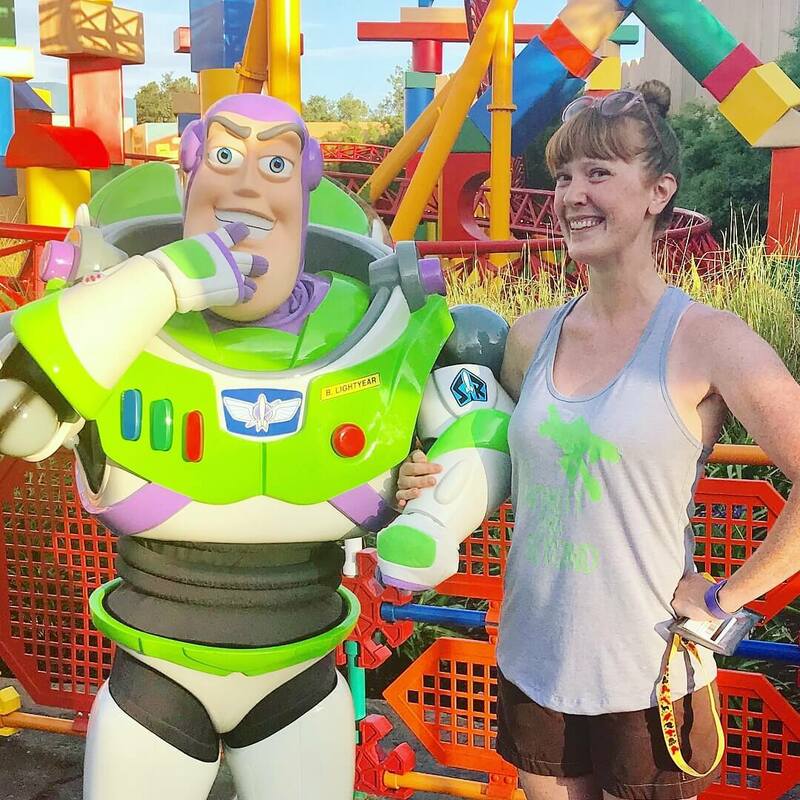 Here I am meeting Buzz in my awesome “To Infinity & Beyond” shirt from Toddler Trends. He was really fun to meet and the line moves pretty quickly since it’s just him. The line to meet Buzz and Jessie was much longer and moved slower since there were two characters to meet. If you want to meet them you might consider getting in line right after you ride Slinky Dog Dash. 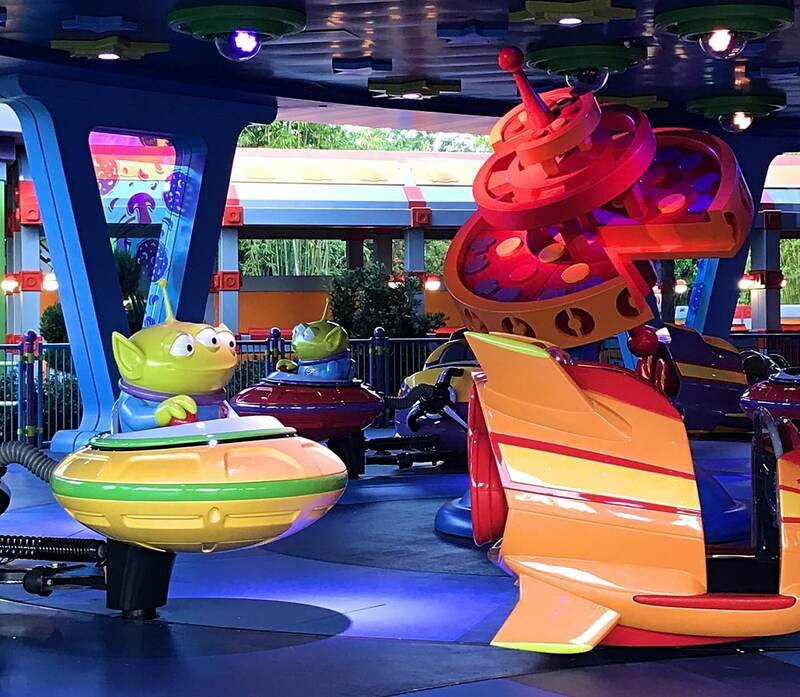 Alien Swirling Saucers is a fun (but bumpy) ride that I think little kids will enjoy. If you end up having to skip it you won’t be missing much – it’s short and nothing special really. If there is a wait time of less than 30 minutes I’d get in line – posted wait times are often longer than the actual wait. 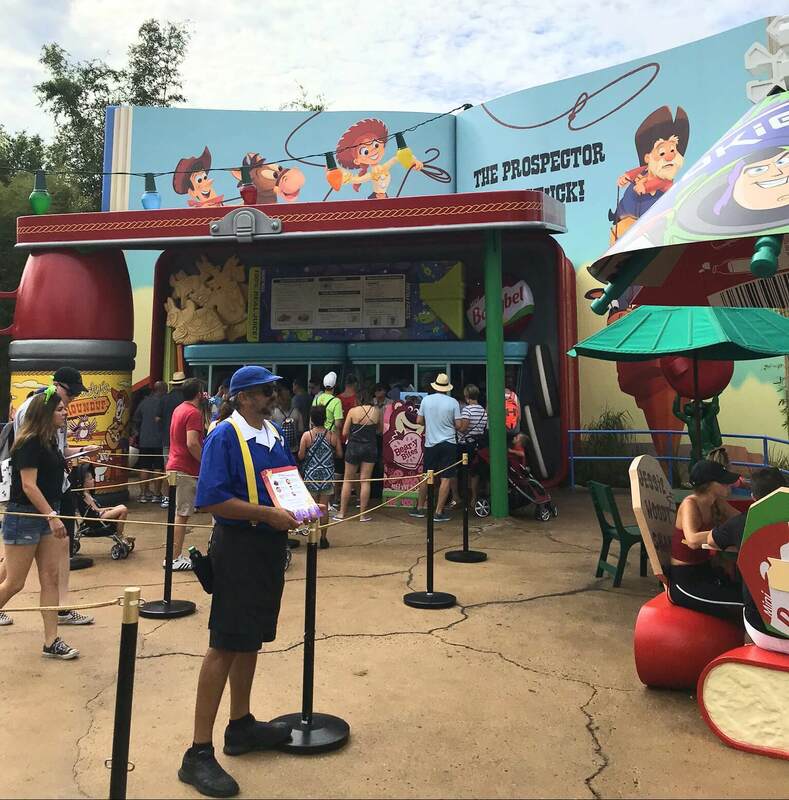 The quick service (aka counter service) restaurant in Toy Story Land is called Woody’s Lunch Box. Currently, it is serving breakfast, lunch, and dinner, though I expect that during slower times of year it will only serve lunch and dinner. 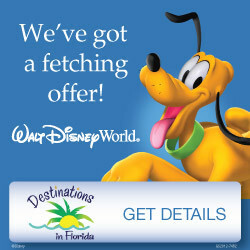 You can view the full menus with prices for Woody’s Lunch Box here. 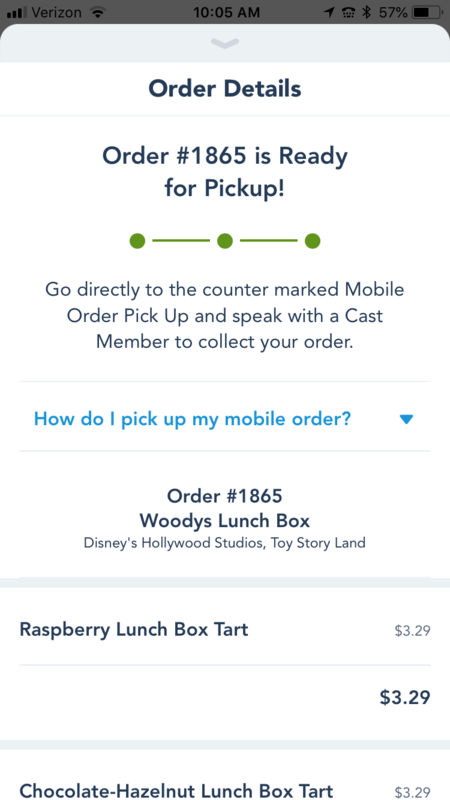 The line can get long here and moves pretty slowly, so I strongly suggest using Mobile Order in the My Disney Experience app to get your food without waiting in line! Even if you are just getting a snack or drink you can use Mobile Order to bypass the line (learn how to use Mobile Order in this post). 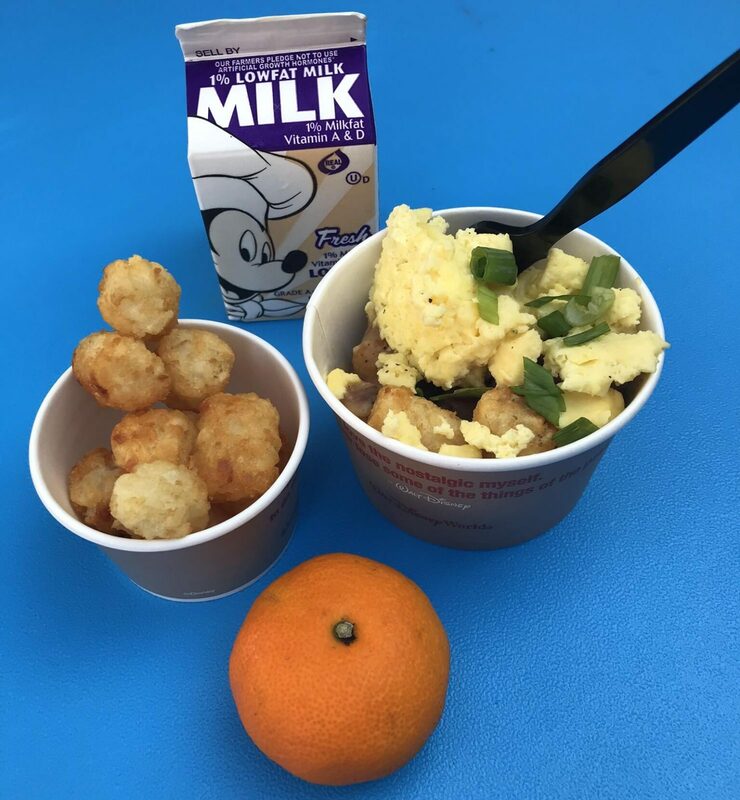 I ate breakfast at Woody’s Lunch Box and had the Breakfast Bowl Kid’s Meal. It was just a smaller portion of the adult’s Breakfast Bowl and was only $5.49. It was totally delicious (though not very photogenic) and consisted of potato barrels (aka tater tots), scrambled eggs, and a brisket gravy. I had read that the Lunch Box Tarts were not to be missed so I came back a few hours later and tried each of them! 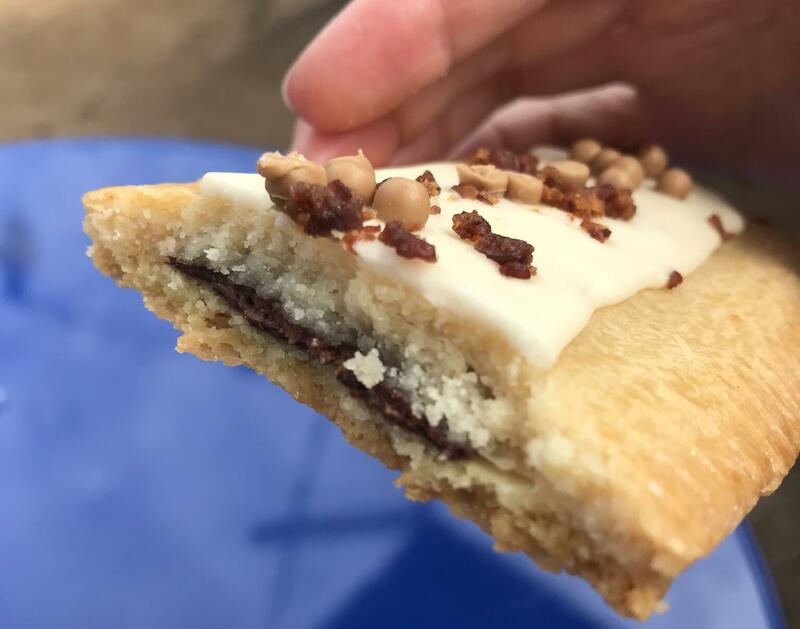 The first was the Chocolate Hazelnut Tart which had a Nutella-like filling, frosting, candied bacon, and chocolate pearls. It was super sweet and very chocolately. 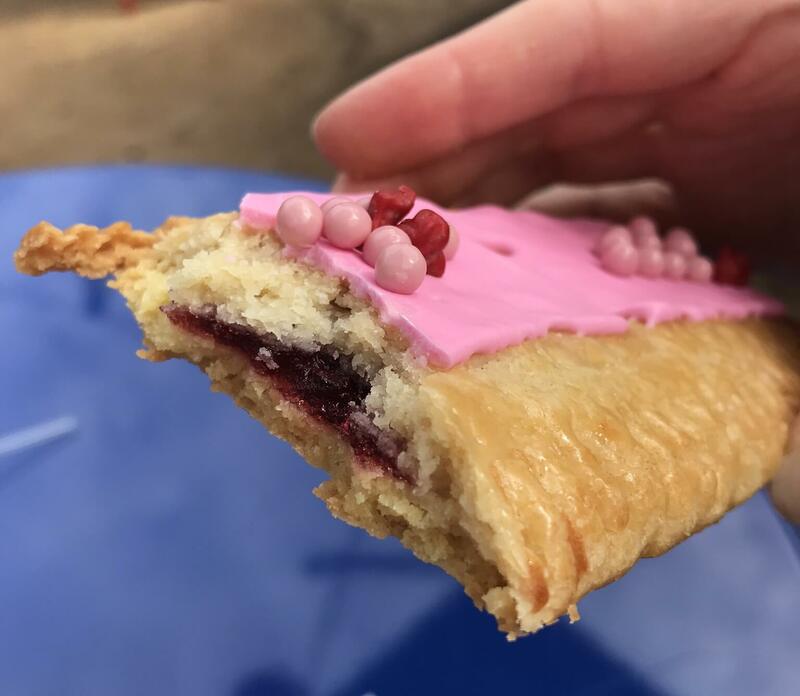 I totally loved the Raspberry Lunch Box Tart which had a raspberry jam filling, frosting, chocolate pearls, and NERDS on top! I preferred it to the Chocolate tart because it wasn’t as sweet and the jam filling complemented the flaky pastry crust perfectly. These desserts were a bargain for only $3.29 each and were so big that they could definitely be shared between two people! I talked to a Cast Member about the lunch and dinner menu and he said everything on it was delicious. I suggest using Mobile Order at Woody’s Lunch Box and definitely giving at least one Lunch Box Tart a try! 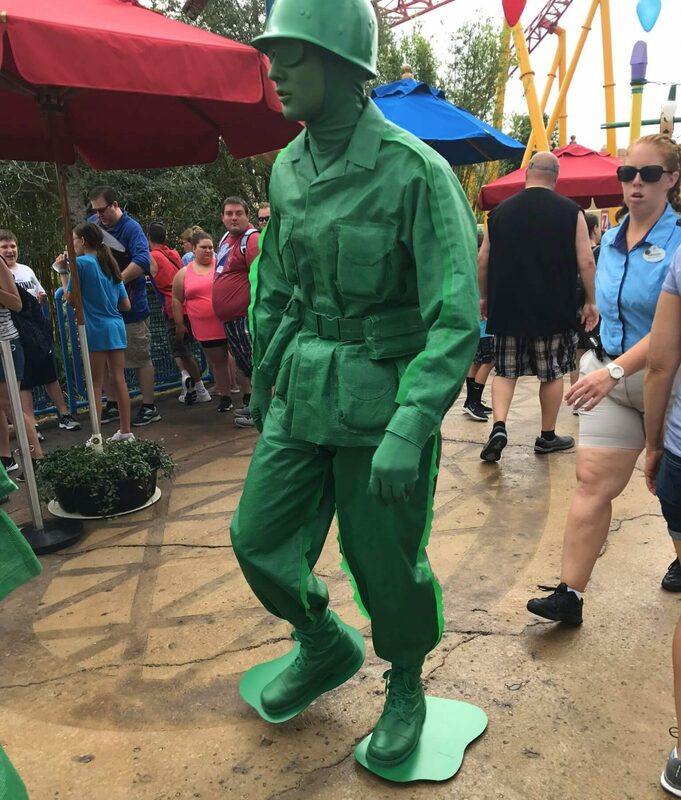 All of Toy Story Land is super fun, but the surprise appearances by the Green Army Men might be my favorite thing. At random times they will appear, walk around with crayons slung over their shoulders, and even march with drums. Plus there are even Green Army WOMEN in the mix – thank you Disney! To summarize, I think you’ll have a great time with the toys in Toy Story Land and can do everything there without much waiting. I left with s big smile on my face and thought Disney did a great job with this whimsical new land at Hollywood Studios. If you want to hear me share all of my tips for Toy Story Land while you drive or work around the house, you can listen to Episode 13 of The Budget Mouse podcast all about Toy Story Land here. 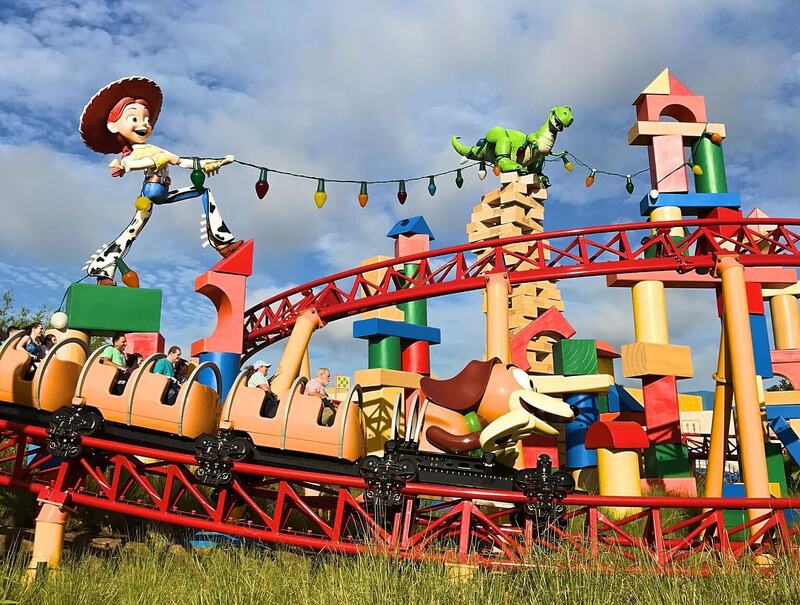 Any questions about visiting Toy Story Land or Walt Disney World in general? Leave a comment below or join our free private Facebook group for The Budget Mouse!